Coaches: Don't neglect the various psychological considerations involved in middle distance running. You can spend months having your athletes do the workouts and the conditioning, preparing their bodies to a fare-the-well, but if they haven't done the mental preparation, it could spell the difference between winning and losing. This article is adapted from chapter in the new book, The Psychology of High Performance Track and Field, Ralph Vernacchia and Traci Statler, editors, published by Tafnews Press (Book Division of Track & Field News). Jennifer Bessel, Ph. D., was an All-American in the 5000m when she ran at California State University, Long Beach. She is now a licensed psychologist and is a member of the USA Track & Field Sport Psychology Team and has provided services to athletes, coaches and teams through her consulting practice in San Diego. The 800 and 1500 meters are exciting races. They require a combination of speed and stamina unique in the world of track and field, and this makes them amazing to watch for both participants and spectators. Even if athletes are in peak physical condition, they will often have to "gut out" their race at the end. 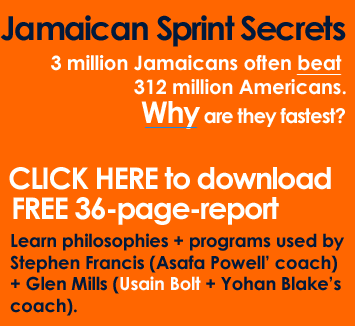 Racers learn how to kick after sprinting either 600 meters or 1200 meters. These two races are fast, yet unlike the 100 meters, there is time to make up for minor mistakes. Just when you may think the winner is clear, a racer can "tie up" or another racer can surge and run past. The two races are long sprints, as they are fast for 2 or 4 laps, depending on the race. Although the world's top racers make it look easy, those who have attempted to run these distances know how demanding the race pace can be. The first key to success in the 800 and 1500, of course, includes the basics: biomechanics, being in good physical condition, completing appropriate workouts throughout the season, and staying injury-free. An additional step that can add to all of the physical hard work is to be mentally prepared. This article will focus on specific mental skills to prepare for the 800 and 1500 meters. Specifically, key mental preparation components will be discussed. Strategies for applying the techniques to a training routine will also be addressed. Finally, some common racing errors will be identified, along with some potential solutions. For the 800 and 1500 meters some key components of a mental skills training program can be developed to maximize performance. These specific aspects include: racespecific goal setting, understanding the rhythm of the race, understanding race strategy, developing an ability to "race" and respond, and being able to cope with pain. The process for setting clear and obtainable goals includes a series of steps. The steps include setting long-term performance goals, season-specific performance goals, competition-day goals and training goals (Orlick, 1986). Long-term performance goals. It is important to dream a little when setting long-term goals in sport. Long-term performance goals are these dreams. With knowledge of an athlete's strengths, challenges, current ability, motivation and commitment, a long-term goal can be set. Long-term goals can range from "I want to run in the Olympics," to "I want to be on the traveling team at schooL" Sport research shows that having a "dream" is integral to helping athletes to maintain motivation, to continually challenge themselves, and to work hard (Orlick, 1985). Seasonal performance goals. The next step is to develop seasonal goals. Often athletes set dream goals, but do not go the extra step and set goals that are more within their reach. Only setting dream goals can result in loss of motivation and a feeling of failure, as dream goals take time to reach. Here is a strategy for setting seasonal goals. At the end of each season, after a short break, it is helpful to plan ahead for the upcoming year. Typically, athletes begin with their long-term goal, which could be to become an "All-American" in the 1500 meters within four years. If an athlete sets this goal during his or her first competition year, then she or he can begin to plan for race times that would need to be reached each season to meet this goal. Once a goal for the season is set then the year can be planned. Questions to ask: What is your long-term goal? What do you need to do each year to progress toward this long-term goal? What do you need to do during the off-season, preseason, beginning of racing season, mid-racing season and end of season to meet your yearly goal? Include all aspects of training: physical, mental, nutritional, etc. Setting competition-day goals. The next important step in setting goals is to set goals for competition day. Athletes can forget that each race is part of a seasonal plan and they can get frustrated when they do not run their fastest race every time. Competition-day goals include two parts: the ideal mental state for racing and a specific race goal. Each athlete needs to understand how he or she feels when "ready to go" vs. "anxious, worried and nervous." Example of an "Ideal Mental State": "I feel ready to go and confident. I like to feel relaxed, yet have a certain feeling of energy in my legs. I know that I am ready to go when I have rested just enough to have energy and I am not worried about who I am competing against. I know I am ready when I stand on the starting line, take a deep breath and say to myself, 'I can do this.'" In addition to specifically writing down how athletes feel when they are at their best, specific race goals should be emphasized. A coach can help an athlete with this task, as the coach and athlete need to be in communication about the athlete's training cycle, what the focus of the race should be, and how fast the athlete should be able to run. Specific race goals can be more than a race time as they can help a runner focus on the last 100 meters of the race, to feel a pace, to practice surges, or to reach a specific time or place in the race. Example of a "Specific Race Goal": "The focus of my 1500 meters is to run at a consistent race pace for all four laps. On the backstretch of each lap I will surge for 50 meters to feel what it feels like to change my rhythm during the race. The end time is not relevant to this race goal. My goal is to surge, no matter how I feel physically. I will be mentally strong and surge with confidence." Setting training goals. The final goal-setting technique is to set goals for training and workouts. Setting training goals keeps athletes focused, alert, and" on-track" to reach longer-term goals. Once a goal is set, then it becomes easier to know what pace needs to be run during races. Knowing the pace of the race is the key step in learning to understand the rhythm of your race. Why is rhythm important to the 800 and 1500 meters? Rhythm is the feeling that a runner has, both physically and emotionally, that "I am on pace." As the 800 and 1500 meters are not all-out sprints and require the ability to pick up the pace or to adjust to other runners in the race, a basic understanding of rhythm is important for each individual runner. This is only a first step, as knowing one's rhythm also requires the ability to adjust as needed to meet the demands of the race. Although these two races are fairly short, they each have key components that need to be considered when developing a strategy for competition. Having a strategy that is clear and has some built-in flexibility allows an athlete to go into a race with confidence and composure. The calmer and more confident an athlete is going into a race, typically, the smarter race he or she will be able to run. There is a danger with the 800 and 1500 meters of just going along with the crowd. If an athlete is just "holding on for dear life," it will be difficult to sprint during the final 100 meters, or to respond with confidence to changes in the race. The 800 and 1500-meter races are races of planning, patience, flexibility and an ability to respond with confidence to changes in the race. Training an athlete to be mentally flexible and feel confident in his /her ability to respond to surges, sprints, or a slow pace at any time during a race can help the runner perform under control. Of course running can be a physically painful process for all track and field competitors, especially during the final 50 meters if muscles become so tight that an athlete "ties up." The 800 and 1500 meters, in particular, require an ability to adjust to the pace and to deal with physical pain as lactic acid builds up in the muscles. As noted in the introduction, being able to mentally push yourself through physical pain to get to the finish line can mean the difference between going to the Olympics or staying home, even for top athletes. It has been said, "practice makes perfect." This applies to both the physical and mental components of racing. The following strategies can help an athlete develop increased mental skills specifically in the middle distance races. Workouts should be designed to allow athletes to experience and feel their race pace. Allowing athletes to acknowledge and feel the pace of the race will allow them to learn their goal pace. Throughout the season, this goal pace adjusts as the athlete gets physically faster. During practice, it is important to share with the athlete what pace he/she is running. Providing information on the goal of the workout, and on which intervals are designed to help runners feel the pace of the race vs. intervals that are faster than the pace, will help them become more aware of what their body feels like physically. It is common for workouts to end with fast sprints. For 800 and 1500-meter runners, this strategy is helpful for them to feel their body as it may feel at the end of their race. In order to help them mentally prepare, set the stage with your athletes by taking a moment to have them stop and visualize being at the end of a race. Give them a verbal prompt such as: "Now, you are at the end of your race, you have run hard, you are relaxed and in good position. These sprints are for you to practice racing the last 100 meters." Oftentimes we expect athletes to sprint, but we have not mentally prepared them to have confidence that they can sprint, even though they are tired or have tight muscles. Many ways exist in training to practice surges during workouts. Surging can be practiced during intervals or during longer roadwork. The mental aspect of surging is just as integral to improving race performance as the physical effects of surges. In order to surge on demand, athletes need to be aware of cues in their surroundings that signal a change in the pace. If a runner is too narrowly focused on his own performance, then he may miss an important cue from another racer that it is time to shift the pace. One strategy during practice is to simulate racing conditions by "surprising" your athletes into a surge mode so that they cannot always predict when they need to shift their leg speed. When developing an imagery script for the 800 and 1500, it is important to break the race into stages. The main stages of each race include: start position, managing and maintaining race position, surges, and the kick. Imagery scripts that contain cues for all senses, including visual, hearing, touch, taste, smell, and kinesthetic, are most helpful to the athlete in enhancing performance (Orlick, 1985). Research has also found that several other factors are important when developing an imagery script, such as physical awareness, environmental awareness, task skills, timing, emotional awareness, and an "I feel myself running" perspetive (Holmes & Collins, 2001). The 800 meters has a protected first turn, which is important to consider. Write an imagery script that focuses the racer on his or her specific pace. Specifically, address what the runner should physically feel like during this beginning turn to be in an ideal placement when merging together at the turn with the other competitors. The 1500 meters starts on the straightaway with the competitors looking forward. Often the 1500 meters is crowded on the starting line. A racer should imagine himself or herself responding to the gun, going straight rather then directly to the curb, feeling the elbows and breathing of runners all around, and confidently getting set in a placement position that fits the racer's goals. The 800 meters is fast and an athlete could easily lose touch with the front runners if he gets stuck in the back of a pack. Imagining potential race position (front, middle, back) and how to move into another position is a key to racing a fast 800 meters. The 800 meters can be a rough race with elbows and bumping, especially in international competition. Imagining responding to bumps or elbows calmly and with quick return to being in control can lower arousal and help maintain an athlete's concentration. The 1500 meters has two laps to maintain pace and prepare for the finish. It is critical to establish a position goal for each lap with imagery centered around staying in this position. Imagining oneself moving into position on each lap will help the athlete be more in control of the race. The third lap of the 1500 meters can often be the "slow lap." Imagery work on this third lap can help a runner experience running through tiredness, surging to pick up leg speed, and staying focused on the race. For both the 800 meters and the 1500 meters an athlete should practice imagining initiating a surge, responding to a surge, and kicking the final 100 meters. Imagining oneself initiating a surge in the race with control and confidence will help an athlete surge to meet race strategy goals. However, as athletes race others who have their own strategy, it is just as important to imagine making the necessary adjustments in leg speed to respond to another athlete who surges earlier during the race. Think of the cues of other runners that will signal surges. For example, when you focus on the back of the person in front of you, you might notice a speed-up in arm pumping indicating a surge. The key to responding to surges is to predict that they will happen and feeling confident that you can respond physically. All racers kick in the final meters of a race, however, all racers do not mentally practice kicking strongly on the final straight. Imagery practice that includes the 100-meter straightaway can be the difference between going to the Olympics and missing a spot on the team. A good kick is strong, confident, relaxed and fast. Mentally imagining these components in addition to practicing the sprint physically can help an athlete finish the race with confidence and strength. In larger competitions, the 800 and 1500 meters often have several heats. Placement, not time, often becomes the goal in these heats. Imagining placement, surges and the necessary kick is important to having a confident race strategy. Also, planning goals for each heat is an important ingredient. It takes time, but it is worth the effort, to mentally imagine how to race each heat. Both the 800 and 1500 meters are races of patience. Being patient may mean not sprinting from the starting line too fast, leaving the competition behind, at a pace that an athlete cannot hold, or holding on to the sprint speed until the last 100 meters. The error of sprinting too early often ends in an athlete not having "enough" to get them through the finish line at the same pace with which they started, or worse, tying up and losing ground to other racers. A racer can start out at a slow pace and have difficulty picking up the pace when the race begins to quicken. This can occur during heats when racers are attempting to save their energy, or at qualifying meets when place is the important outcome rather than race time. It is not uncommon for a big name athlete who knows that he has a torrid kick to set a slow pace in hopes that the other racers will settle in and not be able to match his kick at the end of the race. To deal with this error, utilize these mental skills components. First, set goals for the race. Next, prepare mentally for the challenges of switching gears physically. Finally, use imagery techniques to build confidence to take charge of a race when necessary so that a racer can control the pace to utilize his strengths. Competition in this sense includes the race site, level of competition, level of freedom to move around, number of heats, and characteristics of other racers. While at a World Junior Championship, one 1500-meter runner stated, "It does not matter, I don't care who is in the race, or what I run, I just want to finish." Another runner said, "1 know some of the runners will be fast, so I will let them go. I know a couple of the runners who I can keep up with that will lead me to a good race. I am not sure if I will make the final, but I will at least run a good time." The difference in the outcome of the races of these two runners can be surmised: The runner with knowledge of how he/she fits in with the competition had a goal he could reach, ran that goal, and felt good about his performance. Resist the urge to avoid "knowing anything" about your competition. This impedes your ability to set realistic goals and make a plan for a realistic race strategy. In conclusion, setting up a comprehensive mental training program for athletes in any sport is a key to peak performance and maintaining consistency of performance over time. 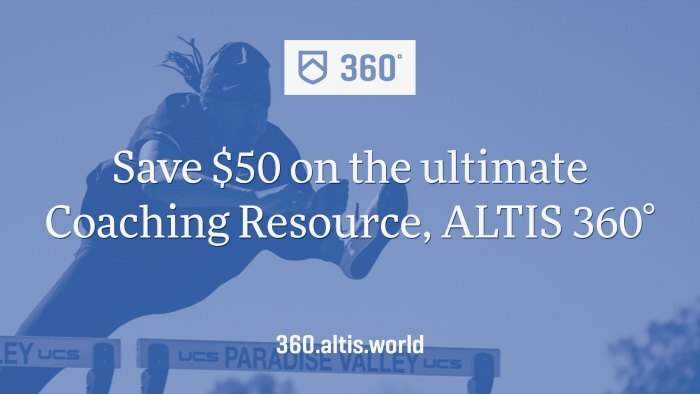 For the 800 and 1500 meters, some specific components can be integrated into the mental skills training program to help the athlete meet the unique needs of these two fast, yet controlled races with confidence. Good luck in your racing!